Borax. A seemingly innocuous ingredient you sometimes see on recipes for homemade bubbles. It may seem like just another boring ingredient, but this combination of sodium, oxygen, water, and boron packs a powerful punch and can be used in a ton of ways around the house. Clean My Space shows us just a few of the fun ways you can use this inexpensive, natural ingredient in the video at the end of the article. Cleaning the toilet: Forget bleach and hours of scrubbing. Pour a cup of borax in your toilet, let it set overnight. Give the bowl a little scrub with your toilet brush and then you have a sparkling clean bowl just in time for your morning bathroom run. Clean your pans: Borax can help restore your bummed out cookware to sparkling clean. 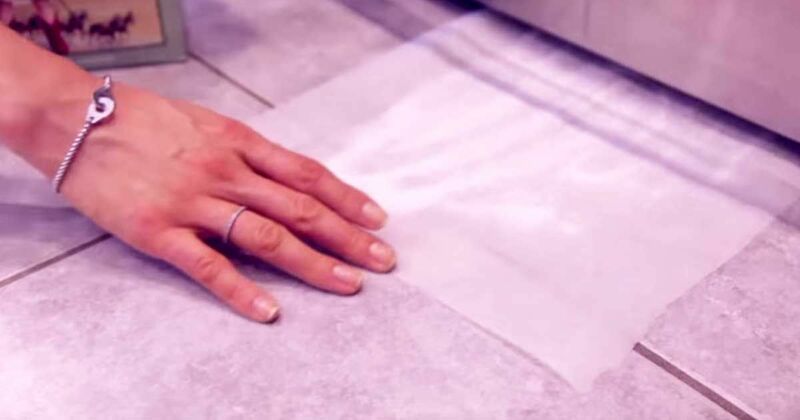 Simply pour a bit of borax into the pan, let it soak for about 10 minutes, then wipe away with a soft rag. Wash well with soap and water to finish the job. Bug killer: Bugs in the kitchen? Gross. Give bugs the boot, but placing a mixture of borax and powdered sugar onto a piece of wax paper. Slip it under your fridge, stove or anywhere else that seems to attract the unwanted visitors, and let the mixture do the work. Change the mixture every few days to get rid of the (ahem) dearly departed bugs. Nix Mold: Mix borax with a bit of water to create a thick paste. Apply this paste to moldy areas and let it set over night. The next morning, brush away the powder and rinse. No scrubbing necessary! Wash your unders: The washer is killer on bras. Try this instead: mix two tablespoons of laundry detergent, 1/4 cup of borax and very warm water. Mix well, and soak your undergarments for about 30 minutes, rinse and hang dry. Fertilize plants: Use caution as too much will kill your plants, but if your soil is short on a boron, using a tiny bit of borax could actually help your plants grow. Make candle wicks: Need to make wicks for a project or an emergency kit? Combine 1 tablespoon of salt with 3 tablespoons of borax and 1 cup of boiling water. Soak a long string of twine in the mixture for 24 hours and let it dry for 2 days. Unclog drains: If you have a slow drain, try borax to help clear things up. Pour 1/2 cup of borax down the drain, using a funnel. Slowly add 2 cups of boiling water to the drain and allow it to sit for about 10 minutes. Flush with hot water. Repeat as needed. If you liked this tips, share them with your friends on Facebook. What's your favorite way to use borax? Tell us in the comments below.